I recently lost myself exploring the Live Trace options and the new Bristle Brush in Adobe Illustrator: two fantastic tools that I wanted to combine together. This is the result: a portrait of Jennifer Aniston that looks like an oil painting. Thoughts? 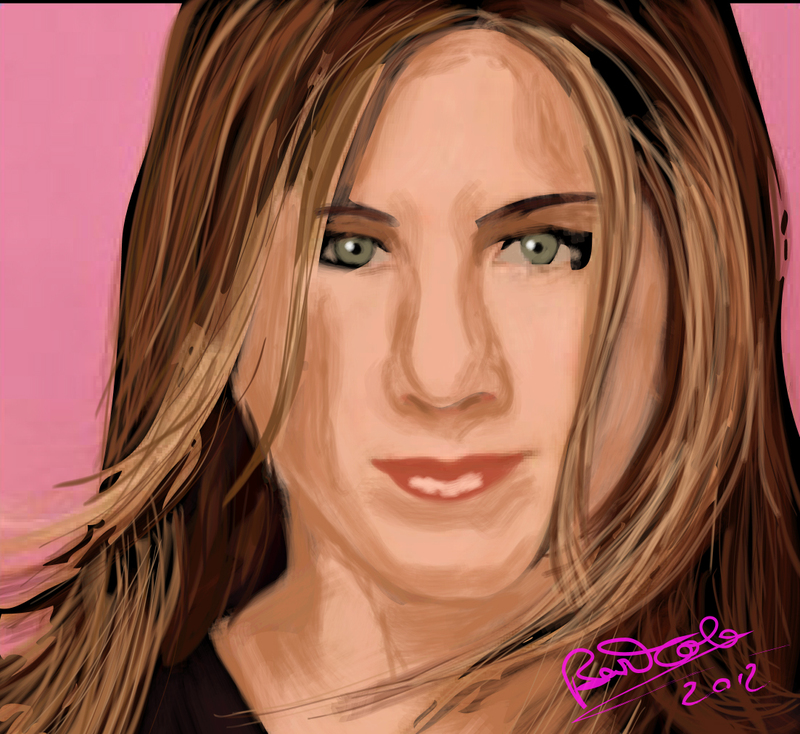 To do that I traced twice a picture of Jennifer Aniston with the Live Trace tool. The first time I did it in colors, the second time in black and white and I took out the white leaving transparent instead. This made the edges of the picture stronger. In the next layers I painted the picture using a variety of Bristle Brushes, the first time doing the flats, on the next layer taking care of the lights, then the shadows, the details and the hair. I didn’t expect a so realistic effect. I like it. And you?